Brief Synopsis – A young squire is befriended by a wizard who wants to teach him about the ways of the world via his magic. 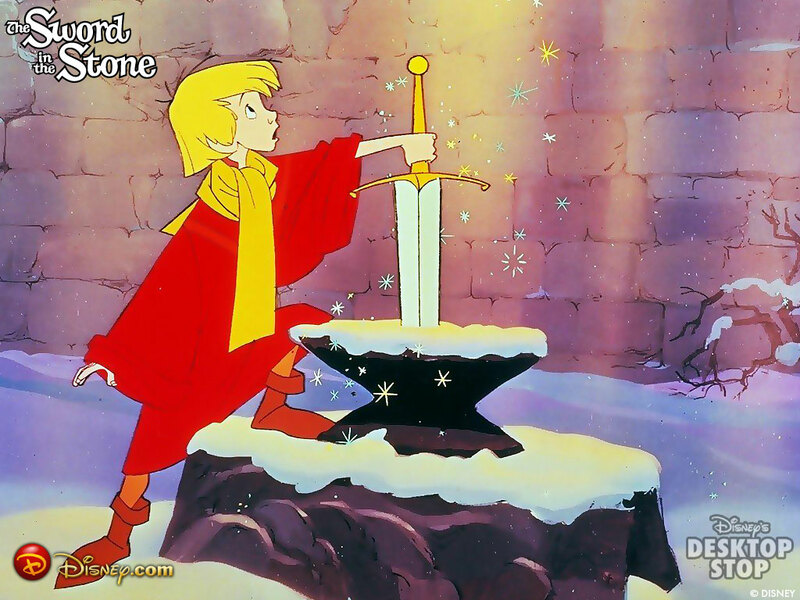 I read many stories as a kid of Arther and his knights of the Round Table and loved this Disney film especially because it tells the tale of how he became such a smart and intelligent leader. As a kid, he was tutored by the great magician Melrin and this movie tells that story by blending modern science with characters from The Middle Ages. My favorite scene here was the Wizard battle between Merlin and Madame Mim mainly because the animation is amazing. Each animal that they each transform themselves into retain their color schemes and personal features; Merlin’s glasses and facial hair and Mim’s wily hair. This one also “borrows” from the chapter of Fantasia (1940) known as The Sorcerer’s Apprentice and has many enchanted household furnishings working on their own. It’s actually done much better than Mickey’s story 23 years earlier, but unfortunately doesn’t have the same strong musical accompaniment that the previous one had. Bottom Line – Fun Disney movie that brings the past and the present together in order to tell its tale. Recommended!